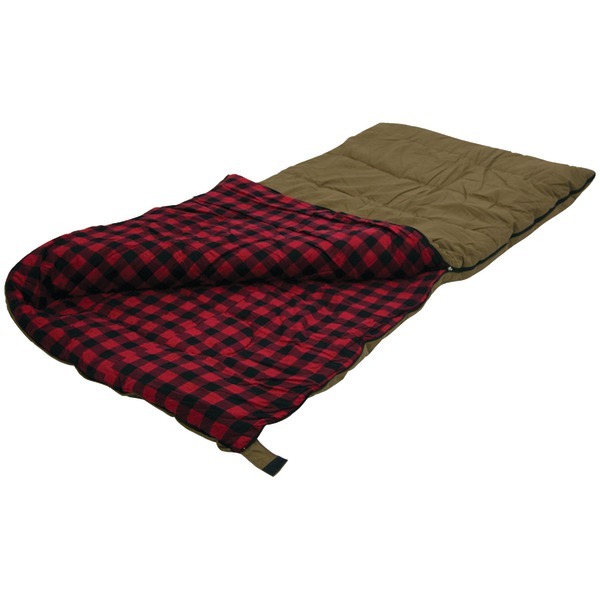 Kodiak Canvas 6LB Sleeping Bag. Rectangular double layer bag. Cotton canvas outer layer with a printed cotton 125 gsm flannel liner. -10 Degree F comfort rating. Canvas.